In the field of Health and welfare, it is possible to complete university of applied sciences (UAS) Bachelor’s degrees with scopes varying between 210 and 270 ECTS credits and standard completion periods ranging from 3.5 to 4.5 years. 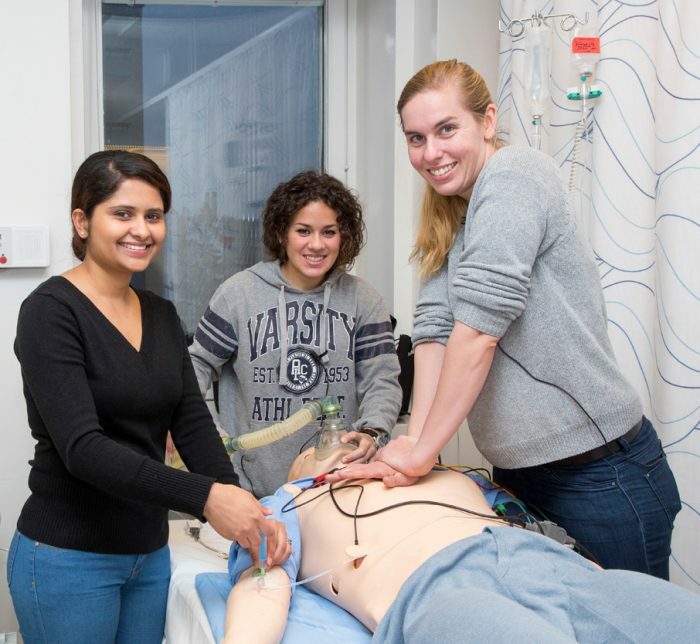 Bachelors of Health Care have received scientific, technical and functional capabilities to work as specialists at different levels of the health care system, for various organisations and within the private sector. The essential aspects of these professions include promotion and maintenance of health, prevention and treatment of disease and relief of pain and suffering for different client groups in multicultural environments. Health care differs from other fields in that working within the field also requires the right to practise the profession (as a licensed professional or a professional with a protected occupational title) in addition to the degree. You can obtain this right after completion of the degree by joining the register of health care professionals maintained by the National Supervisory Authority for Welfare and Health (VALVIRA). In addition to professional knowledge and skills, working life skills within Social Services, Health and Sports include willingness and ability to work with people, being active, responsible and open-minded, using one’s own initiative and the ability to work and make decisions independently and to develop oneself. You can study for UAS degrees in Health and welfare in Finnish, Swedish and English.